Wow nice click.. i love it ..poori with this saagu heavenly combo hah.. Take time to post ur recipes dear.. enjoy with ur parents..
yummy combo with puris, enjoy your break!! Hmm I love this bombai chutney and even I hv this in my blog..Good all of them are coming together...ENjoy maadi.. I remember my mom making this while a kid..so lovely!.. Have fun with family....curry looks soo yummy and colorful. Oh Sushma, its gonna be all fun and you will be having a great time family!!! have a great time dear!!! And do slow down and finish off your work at office we can wait for your recipes but not your boss for his work!!! ;) congrats about the new house dear!!! the sagu looks so creamy and yummy!!! Bombay saagu looks perfect.. I wish I could grab a bowl with some steaming idlis!! By the way have fun with your folks, I am sure you are looking forward to it. 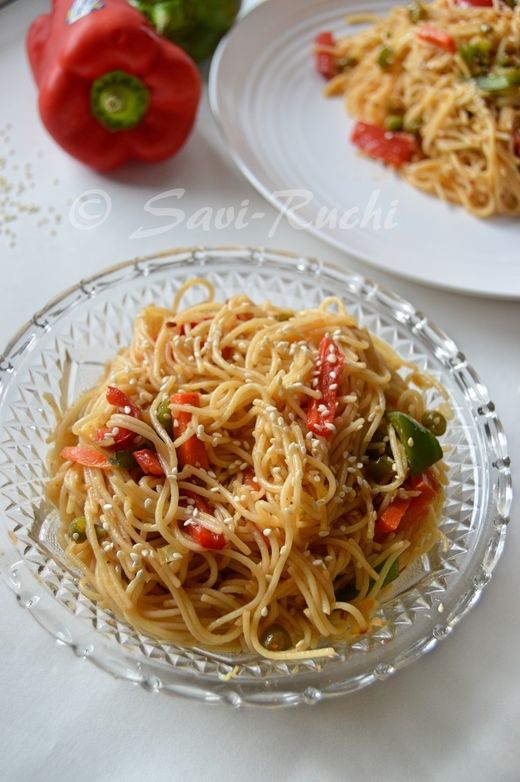 nice click and nice recipe.....u know I am thinking of trying it for my dinner tonite! wow, both your parents and in-laws coming over? Lucky you!! Have fun with them and enjoy to the fullest :) Even I will become little slow as my sister and her family are visiting us for summer break!! The curry looks so rich and yummy. Nopes, I wasn't surprised, break means your pregnant/in laws coming/parents landing/moving/bored of writing. Your reasons were within my guesses so enjoy maadi! Amma same type gojju madthale, but no besan. She never told me its called Bombay sagu kane!! 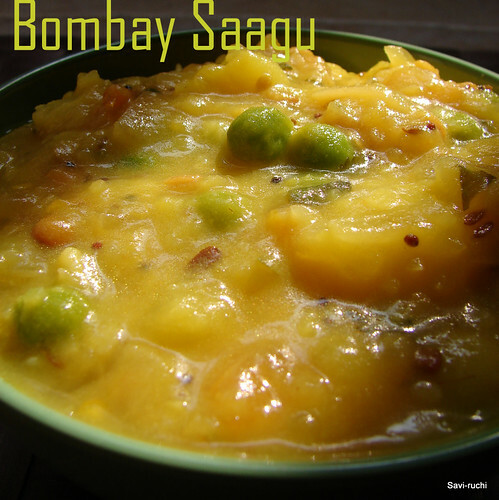 saagu loos so good and delicious..enjoy.. Thanks for this quick and easy recipe.